Prestigious Landmark in Southwest Ranches.Close to everything yet nestled away from it all.Drive up to this estate and as you pull up to the porte cochre you will desire this 1 story Spectacular triple split compound.The 6BE 6.5BA 4 car gar features a Full basketball court, stunning pool with diving board and slide. Amazing office,9 seat theater and gym on 3 acres in a cul-de-sac. Neighborhood & Property is gated. LENDER SAYS BRING YOUR HIGHEST & BEST OFFER. Over $1mil in equity! Named after the Alamanda flower, this Gorgeous villa is located on the island of Bequia in exclusive Saint Vincent and the Grenadines. Alamanda Villa has one of the best views on the island. This spacious open concept Luxury Villa has spectacular panoramic views of Admiralty Bay and Port Elizabeth, you can see for miles and get lost in the beautiful sea views and lush scenery that Bequia has to offer. A rare hidden gem - stable, emerging and unbelievably gorgeous. A perfect place to live or vacation. Call this New Custom Built your home. Beautiful 5bed 5bath 1 story pool home, featuring porcelain floors throughout, impact windows, 8ft doors, 12ft Ceilings, Beautiful secluded corner lot near St Thomas, The apostle, Call Listing Agent for more details. Luxurious three story four bedroom home with three and a half bath provide all of the accommodations of a summer retreat or a permanent utopia. Built in 2007, the property has ceramic and porcelain tiles, reinforced concrete finish and hardwood flooring. great view, overlooking the mountain, this is a must see. beautiful garden. Best Lot in exclusive gated Country Club Estates! 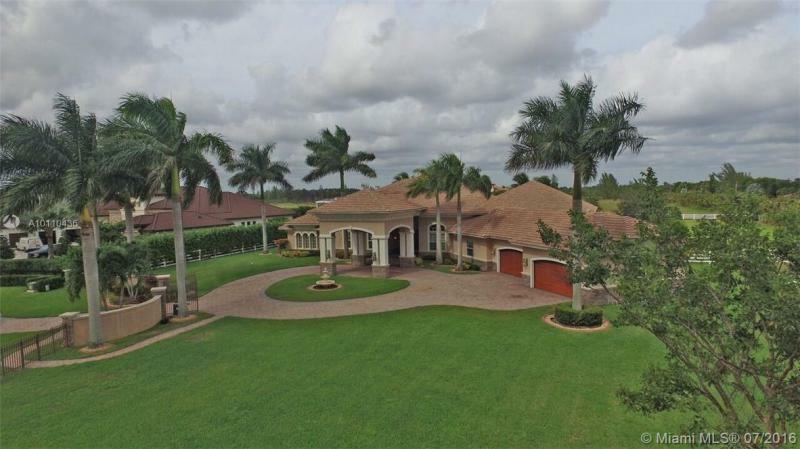 Huge 8,160 Lot with spectacular Southern views of the Turnberry Golf Course & Lake. This is the largest home currently available & offers expansive entertaining areas, inside and out, a separate guest house, large pool & spa, courtyard, backyard & built in grill. This home has a 2 car garage as well as a long private driveway entry. Open and Bright interiors, Lush tropical landscaping, high ceilings, spacious rooms, located in the center of Aventura. This cul-de-sac home is situated in a very desirable lot, 140 ft. on the water, with gorgeous views of Miami Beach waterways. The property is located on the corner of two intersecting canals. The kitchen opens to a large patio area great for poolside lounging and entertaining all year long. Direct ocean access and no fixed bridges to Haulover inlet.